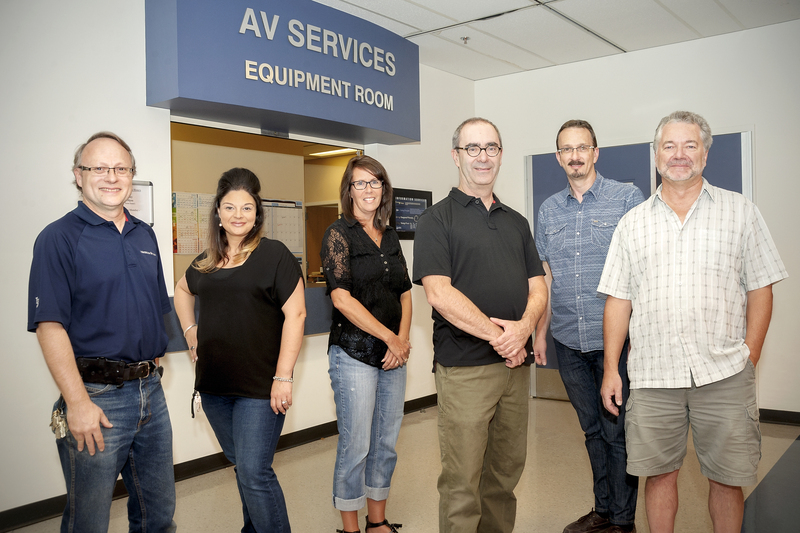 Audio Visual Services, a division of Information Services, can help you with all your audio and visual needs at the University of Regina. Equipment Room: Our Equipment Room Staff will take your bookings to supply or deliver teaching equipment to classrooms. We also design, install and support permanent classroom teaching technology. Hours of Operation: Monday to Friday 8:15 AM - 4:30 PM all year, excluding holidays. The Equipment Room remains open during the noon hour and offers evening equipment service Monday to Thursday 6:30 PM - 10:00 PM during the Fall and Winter Semesters. Computer/Software Questions: To report any computer/software or web site issues, please contact the IT Support Centre at 306-585-4685 or fill out an online FootPrints ticket.